Make your home feel a lot more furnished and complete by introducing this magnificent Large Silver Lexington Pendant Light. 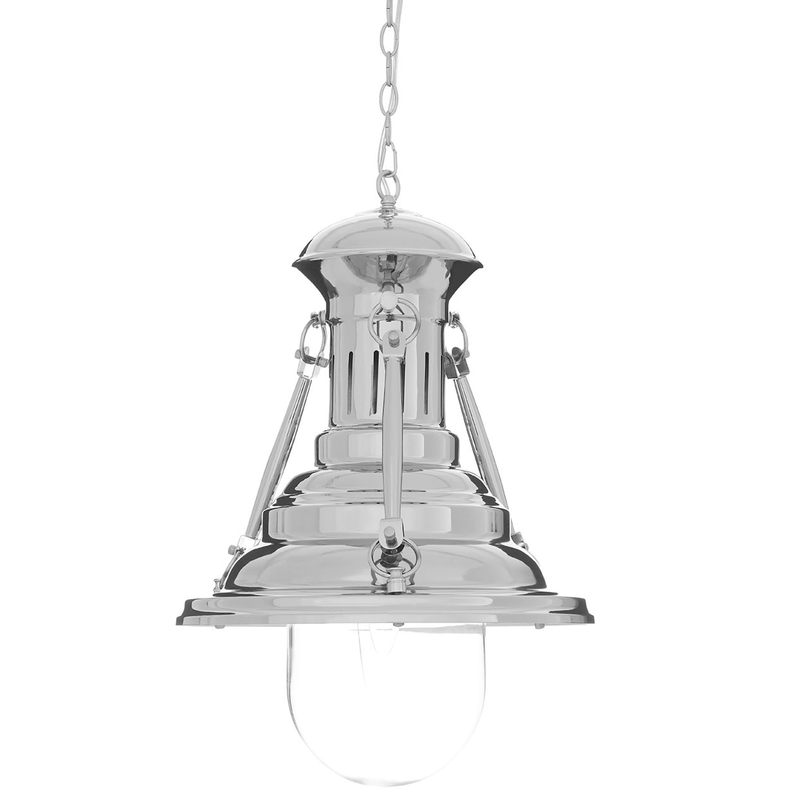 This pendant light has a gorgeous and original design which is inspired from vintage hurricane lamps. The chrome, glass and iron material makes this piece look very contemporary as well as unique.